The Gypsy's Guide: Faster! Higher! Stronger! 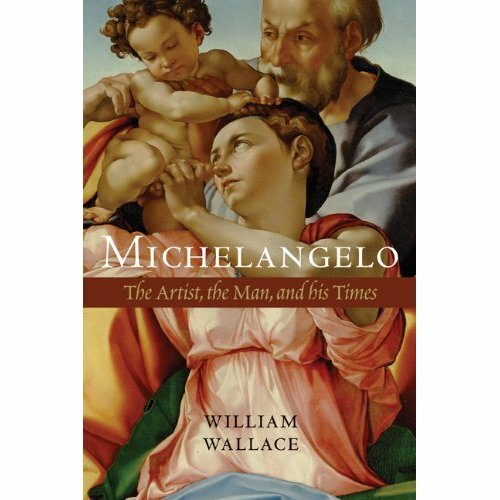 Thanks to all of you who entered to win a copy of William Wallace's new book, Michelangelo: the Artist, the Man, and His Times. I always love a good giveaway, and I love having fun prizes, too. She's the winner of this giveaway. She has a really nice collection of printable bookmarks on her blog, Corner of the Library -- handy for all you book worms! You'll find her on Twitter, too: cmcarpenter28. 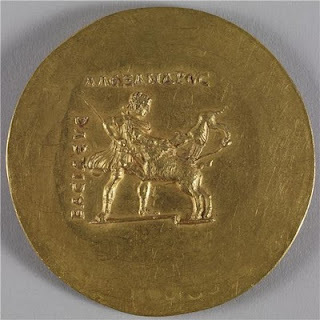 This gold medal was found in Egypt -- part of a cache of similar medallions one of which was inscribed "Olympic Games of the year 274." 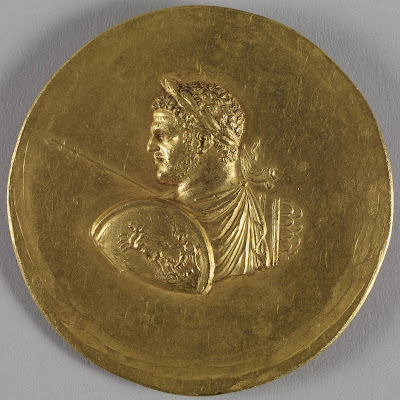 Now in the Walters Art Museum in Baltimore, this medal may have been a prize from the Olympic Games held during Emperor Caracalla's reign (198-217 AD). 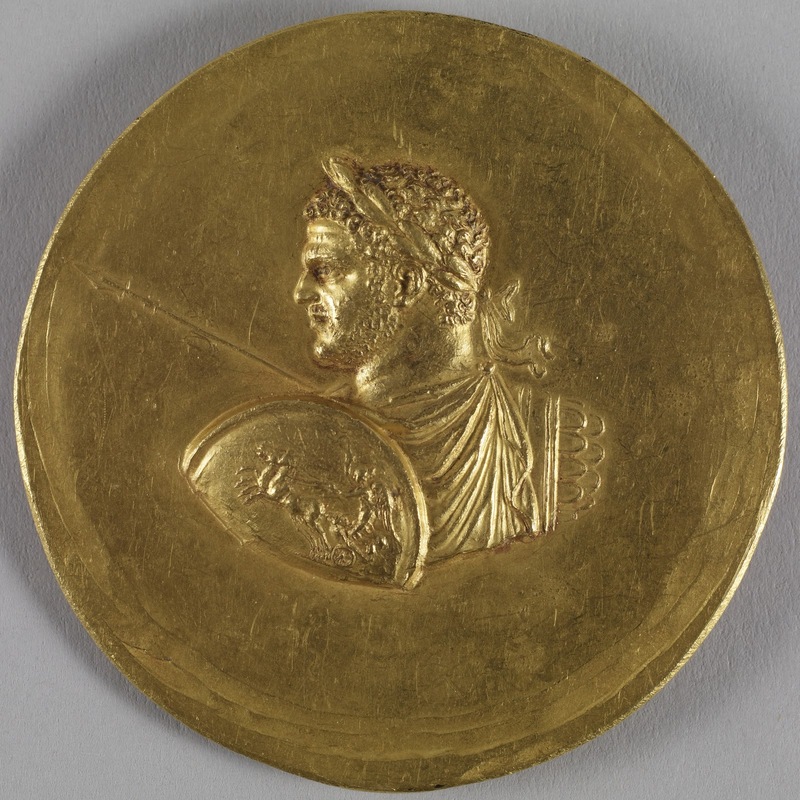 That's Caracalla depicted on the medallion with his shield. The Romans were as Olympics-crazy as we are today, and they adopted the Greek custom with a fervor. Nike made an appearance even at those ancient games -- just not in swoosh form. Look at Caracalla's shield. That's Nike, the goddess of victory, on the shield depicted in the bobsled of the day, a chariot. Reverse of the medal. Image courtesy of the Walters Art Museum. So does the Walters Art Museum! Follow @walters_museum and lots of other great museums on my Museum Twitter List. Fascinating! Had no idea the tradition of gold medals might have dated back that far. Thanks for the info. very cool - love that medal - and its history!